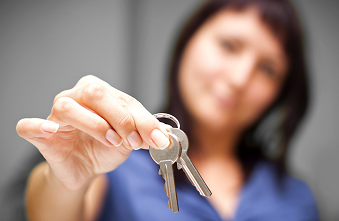 As a general rule, renting properties is relatively simple. You like the look of a place, you contact a real estate agent or a private landlord, and then (nine times out of ten) you move in and start living your life. But things can get a little confusing when, say, you’re renting for the first time, or have just moved to a different state. Because often it’s not clearly laid out, it can sometimes be difficult to know exactly what your rights and responsibilities are. Just so you’re clear, we’ve outlined a few of your standard rights and responsibilities, and where to find some more information should you need to find it in the future. Your contract is the single most important document when it comes to dealings with your landlord and/or real estate agent. Everything that governs your relationship with this person is in there. For example, the conditions of your rent will be outlined in this piece of paper – how much, how often, and what will happen if you don’t pay or pay on time. Your contract will also mention how much notice your landlord and/or real estate agent must give you before paying a visit, and their responsibilities regarding repairs and maintenance (see point below for further info here). Legally speaking, your landlord is the authority on all repairs and maintenance. Anything you want or need fixed must go through them. However, if the repair is urgent and possibly dangerous (eg – a gas leak or a burst pipe), you are entitled to call the relevant authorities first, before letting your landlord know (and then asking them to foot the bill). 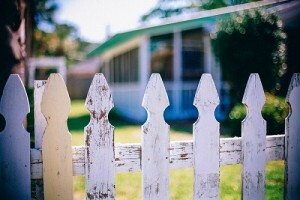 In the case of DIYs and fixer-upper projects, you will need to have these cleared by your landlord and/or real estate agent before starting on anything (preferably get this in writing to avoid potential disputes in the future). Remember – your landlord does not have to agree to any non-urgent or non-essential repairs, and if you do go ahead with a DIY project without permission, they are entitled to ask you to pay to return the property to its original condition. Last, but definitely not least, you are entitled to conduct what’s called an entry condition report, which is basically a review of the property (faults and all) to make sure that you can leave it in the condition you initially rented it in. Like when hiring a car, you can take some time to walk the whole way through the property and note everything that’s scratched, dented, wonky, etc. Then, when it’s time for you to finish your lease, there won’t be any remaining disputes about whether or not it was you who scratched the corner of the bathroom mirror. Everyone has a right to peace and quiet in their own homes, including your rental property neighbours, which is why it comes under the rights and responsibilities of the tenant. Not only do you have the right to enjoy a comfortable home, you do have a responsibility to ensuring the relative comforts of others around you. The example most people think of here is of noise and noise complaints. This example isn’t necessarily inaccurate – you will definitely receive a noise complaint if you’re up until 3am on a Monday blasting heavy club music – but there are also many other examples of the right to quiet enjoyment, as it’s called. Such as; your landlord isn’t allowed to restrict who visits you in your apartment. Similarly, they aren’t allowed to drop in on you unexpectedly (although some landlords try and get away with these on the basis of ‘surprise inspections’), which is illegal. Unless you have quite a good reason for doing so, we highly recommend avoiding breaking a lease. It’s costly, it’s annoying for your landlord, and it gives you a bad reputation as a renter. 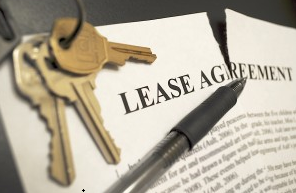 In many cases, it can be difficult to find new accommodation after breaking a lease. However, there are legitimate legal reasons for doing so, which I’ll briefly run through here. In the case of domestic violence, there are two options if you are the victim; you can leave the property, or you can stay and obtain an apprehended violence order (AVO) to prevent the perpetrator from coming back. You are even entitled to change the locks without your landlords consent if you have lodged an AVO with an exclusion order against another occupant of the property in which you live. If you want to leave, however, ending your legal liability will depend on your tenant status (eg – co-tenant, sub-tenant, border or lodger). In either case, we recommend contacting a domestic violence hotline or visiting your local community centre for advice (a few suggested links will be included below). In the case of natural disasters, or other such events in which the property becomes unlivable for legal and/or health-related problems, the protocol is different. Remember that your tenancy does not automatically come to an end when the property is declared unlivable. Here, you will need to liaise with your landlord and/or real estate agent to discuss if the property can be fixed, where you will stay until it is fixed, or how you will resolve any outstanding issues should you choose to leave the property permanently. Which brings our post to an end. Further links and information can be found below, but as long as you pay your rent on time, give proper notice for ending a lease, and respect everyone’s right to peace and quiet, all should be well. We hope this has been helpful. If you or anyone you know is in an abusive relationship, you can contact http://www.whiteribbon.org.au or https://www.lifeline.org.au/Get-Help/Online-Services for assistance.